Two environmental entrepreneurs from Bloemfontein were chosen out of 867 applicants to take part in Fetola’s prestigious Groundswell Accelerator programme. 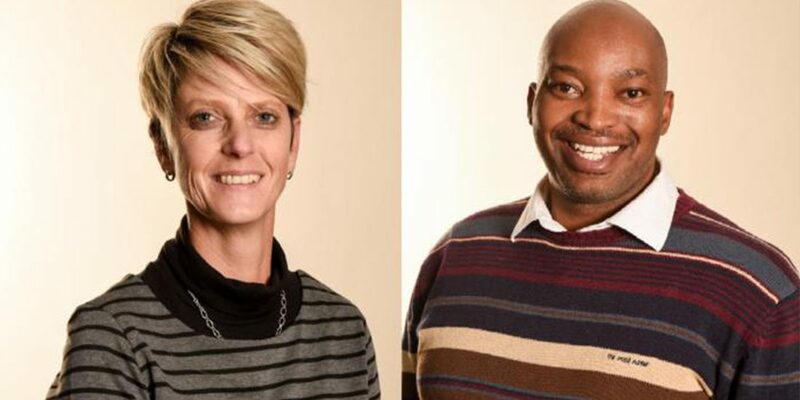 Thipe Tseka of Future Trust Investment and Dr Esta van Heerden of iWater are part of a group of twenty-five business owners from all over the country who will be taking part in workshops to improve their business acumen in the environmental industry. The programme, which began in 2007, has seen participating businesses grow by 50% per year with a long-term survival rate of close to 90%. “It’s exciting to engage with entrepreneurs of this calibre. They are promoting renewable energy, sustainable agriculture, offering environmental consulting, providing water resource services as well as patenting new inventions,” said Fetola CEO, Catherine Wijnberg. The 18-month programme is focused on start-ups in the green economy, to build entrepreneurial skills and cultivate sound business practices. Thipe Tseka runs Future Trust Investment from the City of Roses, supplying energy saving and off-grid solutions to businesses and households alike. It is clear that the entrepreneur with a background in IT is passionate about environmental conservation. “We live in an age where climate change is a reality and fossil fuels are harmful to the environment. We cannot ignore the need for alternative ways to supply energy,” explained Tseka. According to Tseka, alternative sources of energy are often less harmful to the pocket as well. “Our clients who use energy saving sources soon realise how much they can save after the electricity bill comes and pursue off-grid backups,” he said. Van Heerden, an award-winning biochemist and National Research Foundation of South Africa (NRF)-rated scientist, has a start-up of a few months, which employs four people. iWater uses scientific knowledge to interpret water and soil analyses on behalf of clients in the mining and food industry. “Most environmental managers have difficulty in translating the meaning of their data. We provide the expertise, including additional world renowned partners to support the industry to implement better solutions to save our natural resources for future generations,” said Van Heerden.